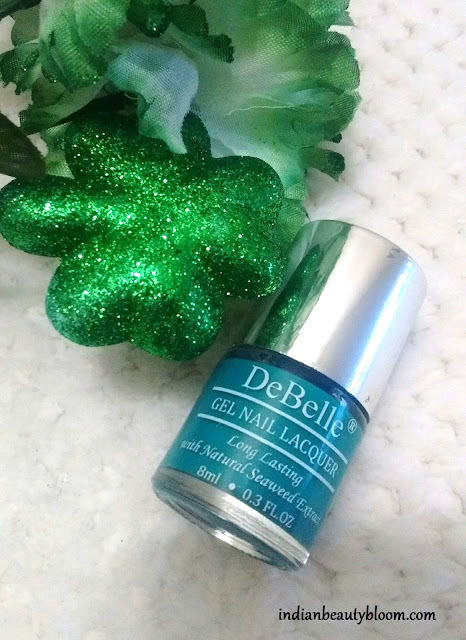 Today I am going to review DeBelle Gel Nail Lacquer in shade Royale Cocktail . 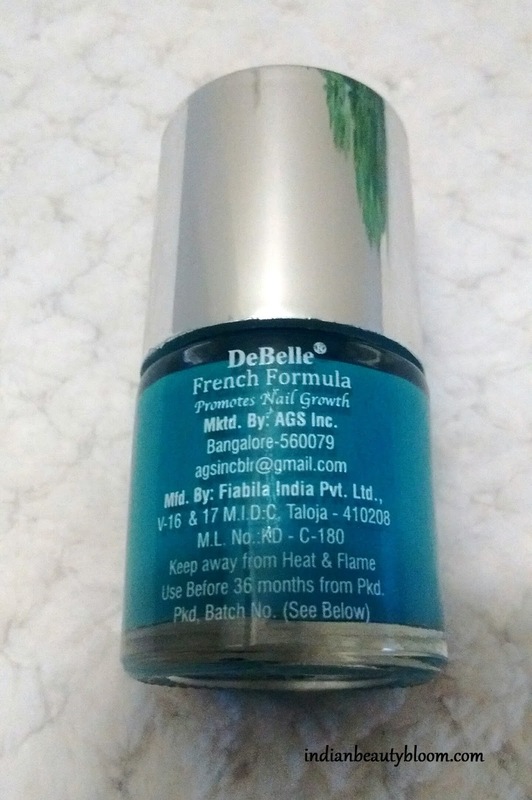 DeBelle is an Indian brand which offers some good products like Gel Nail Polish , Talcum Powder , Fairness Cream , Moisturizers etc . I have already reviewed some of it’s products , they were too good . One can read the review of Moisturizer here . DeBelle Gel Nail Polish are highly pigmented formula with a gel finish which makes nails look beautiful & bright .They are long lasting and contain seaweed extract which promotes in nail growth and also let nails breath . 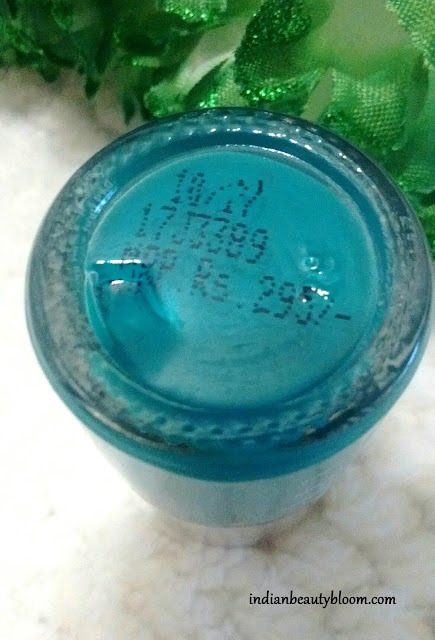 This shade Royale Cocktail is a pretty shade in Sea Greenish color . It’s opaque and the Gel finish looks awesome . The glass bottle has a silver cap which looks too good & classy . The shade is too good & gorgeous . It’s decent & Classy both . 1 .The Nail Polish is of good quality . 2. It gives a smooth gel finish look which looks too good and attractive . 3. It dries quickly with in few minutes. 4. The nail polish does not chips or comes out unevenly . 5. No strong smell like in nail polish from other brands . 6.Contains Seaweed extract which let nails breathe and also promotes nail growth . Available only on online stores , yet to reach local market . I loved the color and the Gel finish look . Looks so good and pretty . Quality of this nail polish is much better than that of nail paints from other brands . So would recommend others to give a try and choose a pretty color from their collection . 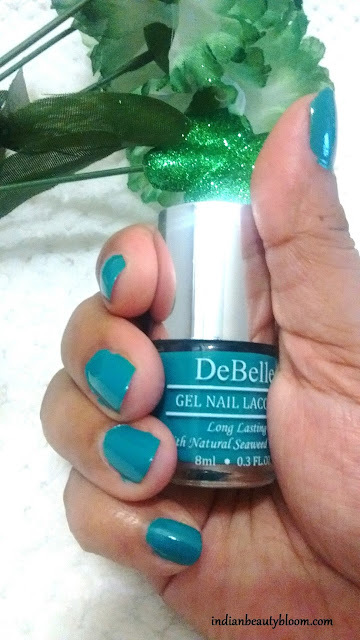 Do tell me your views if you have used DeBelle Nail Polish .